Great article, I recently flubbed up with my calculations and discounted my water by 1.1 ounce with a 49 ounce batch of oils. I was worried until I read this article. I’m happy to know that the soap will be safe to use, since it was intended for babies. I’m new to this and have only been making soap for 10 months. Thanks for clearing my mind. Thanks for the beautiful lesson. Please, I just want to have a rough idea of the ratio in weight of raw materials used to ratio in weight of soap obtained assuming no other source of water such as fruit puree or liquid plant extract is used. This is so I might know if soap making is a profitable venture – all other local factors considered. Just to clarify, you want to know the ratio of oils, water, and lye? Many many thanks and I love you for your posts. I’m a new soaper, and just wanted to know if I can use more water than is prescribed by the Brambleberry lye calculator. I mostly use quite a few hard oils, so end up getting to thick trace very fast. 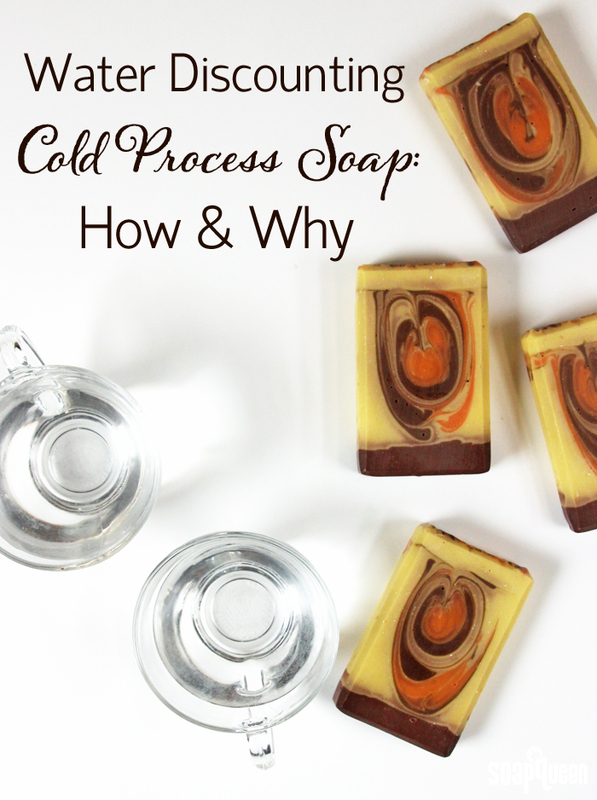 Can I use excess water to keep my soaps workable for intricate designs? Many thanks, Kelsie. Will work on these and share my results with you. Just wanted to note that I began using a water discount as a way to prevent over heating in my soap molds – I was having cracking consistently on the top in my wood molds, and when I use less water the heat cycle during saponification is much more predictable. I am starting to have a headache from reading so much on water discounting. From what I figure soapers usually water discount when they want to reduce curing time and also if adding an alternative liquid. I want to add an alternative liquid. You advice in general to water discount at 10-15%. I want to add tomato puree and carrot puree for separate soaps. Do I take the equivalent of say 10% of my total water content in grams or oz and replace this with carrot puree or tomato puree? Or I can go higher? If higher how much so? Also tomato soap recipes I find online says you can replace all the water called for in a recipe with tomato puree, is this advisable? Thank you as you reply. Water discounting can be tricky at first. However, there is a way to simplify it. Do you want to add tomato/carrot puree at trace, or use juice in place of the liquid? Let me know and I can offer some tips. Hi there! I’m not sure if someone already asked this question. 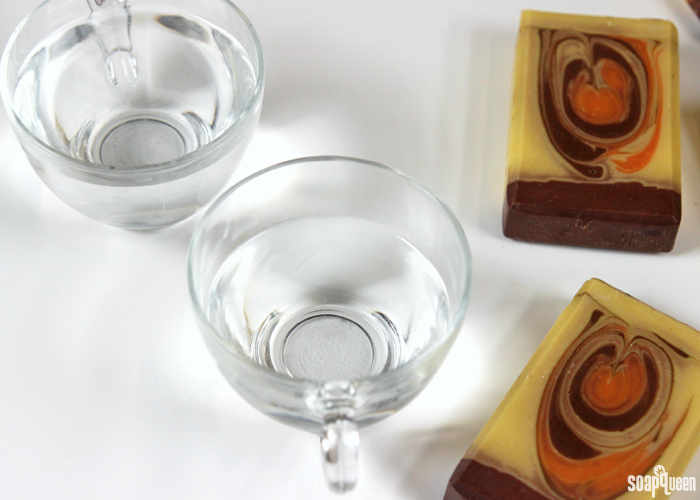 Does water discounting help for a denser bar of soap? Heavier and perhaps longer lasting? Because, do you end up using more oils say to reach a 10lb goal, since you’re using less water, do you have to make up for it with oils? Thank you! Hello there, thank you for all your information. How much water (%) does cp soap loose during the curing periode and how can I measure this. I know that the weight loss (depending of your formula) is about 7-15&, but what does this say about the water: Thanks again. I am wondering how to remedy the situation when you accidentally measure wrong and discount way too much. My scale was having issues, so when I measured out my goats milk it didn’t look like enough. But since it was my first time making goats milk and honey soap, I didn’t think anything of it. When I added my lye to the milk, the lye never seemed to dissolve, but I again thought maybe it was the milk. I added it to my oils and it thickened so fast, it instantly looked like refried beans. I hurried and plopped it into the mold, but it’s now super crumbly and ugly. Can I save it? The milk is not scorched, but I’m afraid that there might be loose lye crystals in there. ( I’ve since made a successful batch, where I realized my mistake of too little milk/liquid) I’m hoping there’s a way to save that first batch. Thanks!! 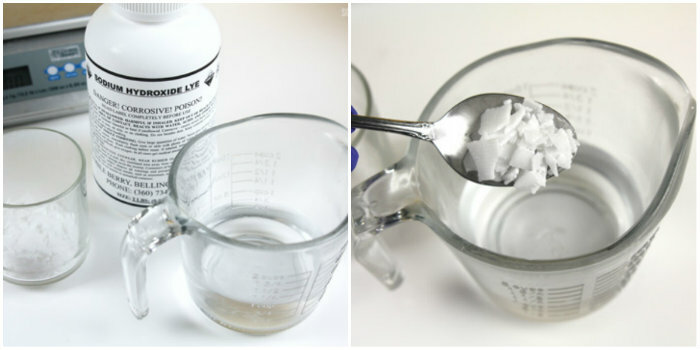 If the soap is lye heavy, you can use it for laundry soap! However, if there are pockets of lye, we recommend throwing it out. Those can burn or irritate the skin. I’m a little confused. In your lye calculator it seems like it’s a 33% water. At least when I ran it through another calc that’s what came up. So do you recommend for beginners just 33% or 38% like other calculators say? It seems to me that the soap doesn’t set up well for beginners at 38%. Any suggestions? If you are water discounting can you lye discount as well? Thank you! Does the lye need to be less if water discounting (regardless of the superdat discount)? In fact I keep coming here everyday for tips and information😜 Was reading about your article on using sodium lactate to increase soap hardness and found the link for this article there. Is it possible to discount 50% of the water and add this back after emulsification in order to incorporate things like carrot juice or pomegranate juice for example ? Hi, I am new to CP soapping, and I have a question. Let’s say my lye calculations is 4.91 Oz and my water is 13.68oz. What I have been doing is keeping lye the same amount but changing the water less 5 Oz and adding 5oz of aloe Vera juice to the distilled water and lye. Is that OK to do? And if so is that still doing a water discount, and will it cure a bit faster. Sorry if this is a dumb question, still trying to figure this soap making process out. Thank you for the link to Lovin Soap Studio’s article! During the soaping session I noticed things I hadn’t experienced before: hotter lye solution (peaked at 190 F), stronger fumes, faster trace. I molded it all up then decided to run the recipe back thru Bramble Berry’s calculator only to find that it quoted more water (430.65 grams to the 366.2 that I used in my recipe)! I started to panic thinking that I had totally lost the batch (which would have been sad because it smelled so great — Yuzu and Cybilla FO). It didn’t help that when I went back to the calculator I had used for my recipe and retried my calcs again (attempting to reverse-engineer a bit to figure out where I went wrong), it gave me a warning that my soap may not be safe! Ack! After a good 2 hours reading and searching online, I found this link about doubling the water to lye which is exactly what the 366.2 represented! Whew! 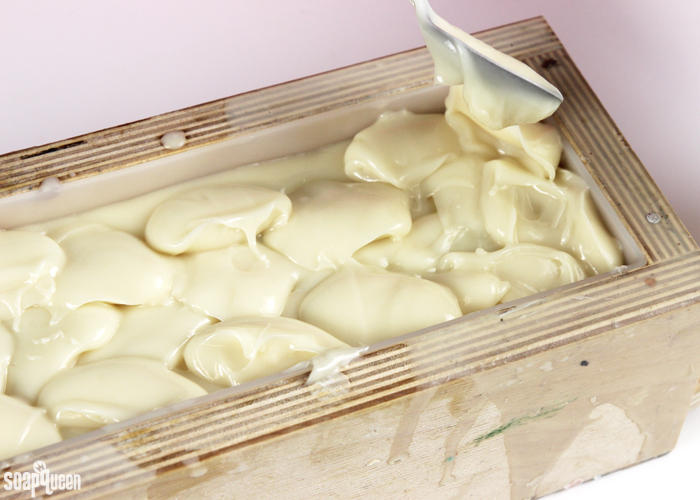 All of the heat and acceleration makes sense now and I’m super-duper looking forward to unmolding this soap as soon as it will let me. Thanks, Amanda, for posting about water discounting and your method for calculations. Thanks Bramble Berry, for supporting such a cooperative information community! So, since water discount makes the soap hotter, it means EO will get to flash point faster right? I had heard of the term, figured out what it meant- had zero clue how to safely water discount so I’ve never tried it. This post is now bookmarked and will be ingrained into my noggin to use on all my future batches. I live in Arkansas and it’s very humid here even in winter (40%-80% on the norm) and I feel it’s affecting my cure times. At 6 weeks they still seem a little soft on the inside. Almost tacky. 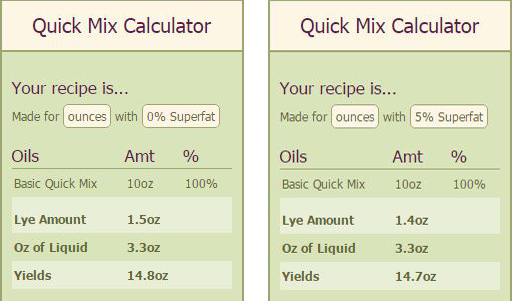 I use BBQuick Mixes and calc, and superfat at max (7%) because of my moisturizing needs. Still, I feel my bars need some tweaking. Water discounting sounds like something to try. I’ve been soaping since Sept and just did my first swirl two days ago! Thank you again for the information that I wanted, but my Google-fu kept veiled. Very interesting topic. Thank you I shall give this a try! I tend to discount just a bit almost every time. Not a specific percentage, but just by rounding the number down. For example, if a recipe calls for 10.8 oz, I’d do 10 oz.. Or on bigger batches, if it calls for say 17.5, I’d do 16 or 16.5 oz. I would love it if you could add additional information on your fragrance labels. What I mean is this: on the bottom (in small print) there could be a flashpoint, and if it discolors, accelerates or rices. And maximum usage in soap. So, it means there’s 8% vanilla in it and it discolors to dark brown. It has mild acceleration and no ricing. Flashpoint is 165 degrees. Max usage 5%, so 0.8/lb. Most are at 5%, but some can be at 1, 2, 3, or 4 % too. I love your suggestion and agree! I keep a spreadsheet with information about each of my fragrance oils and it can be tough keeping it current. Bottle labels would be awesome, and complete information isn’t always available on the web either. I am one of those soapers that discounts every time. Amanda, whom you mention, convinced me to try it out and a few batches was all it took to be sold. 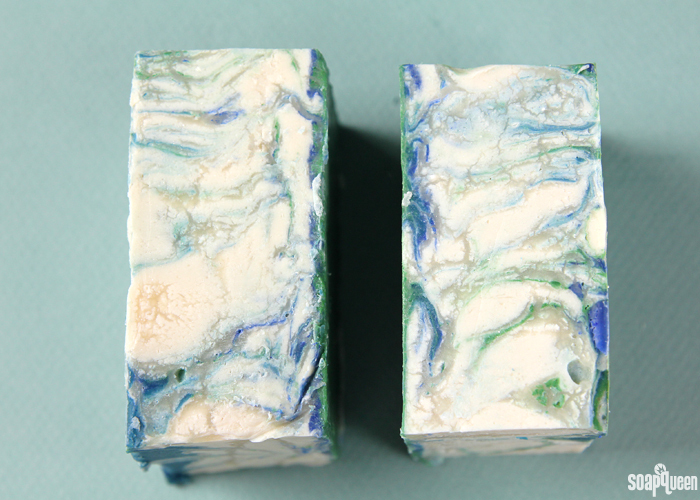 I’ve got it down so that I can work the batter the way I want as regards swirls and fragrances, and it really does reduce glycerin rivers and ash! This is great! I’ve never really understood the term “discounting” except I assumed it had to do with using less and that there was some specific formula behind doing it. But, wouldn’t water discount, at least extreme ones, make the soap lye heavy? It would if you discounted so heavily that the lye was not able to dissolve completely. 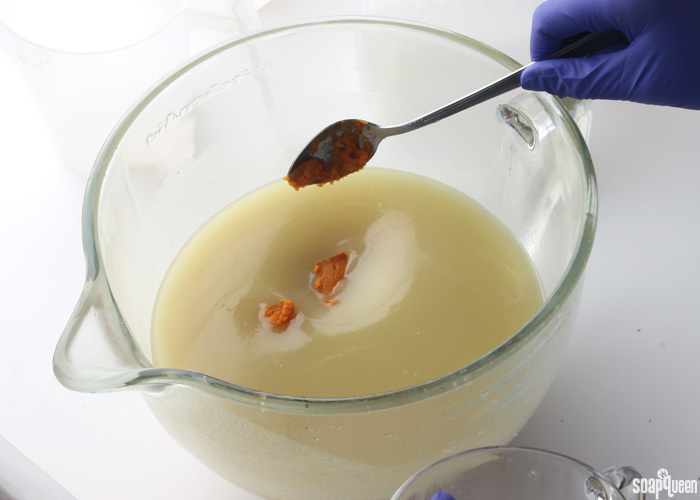 Then you could end up with pockets of undissolved lye in the finished soap!! Yikes!